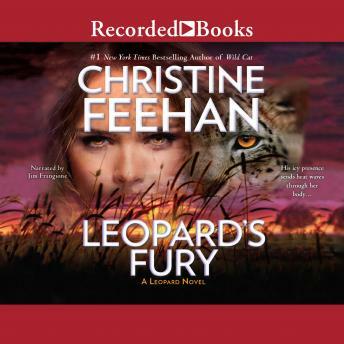 The new Leopard novel from #1 New York Times bestselling author Christine Feehan. Though she is all too aware of her leopard shifter blood, Evangeline Tregre never felt the sensation of a wild animal inside her. Not until Alonzo Massi walked into her bakery in San Antonio. The powerful shifter is as irresistible as he is terrifying. Alonzo knows better than to let himself get involved. Evangeline doesn't deserve the type of danger that follows him, or the threat of his Amur leopard. But he isn't strong enough to stay away. And when their secret lives draw a mortal threat, Alonzo unleashes the feral passion he keeps pent up inside himself.